HOW CAN WE CREATE CHILDREN'S FURNITURE THAT ENCOURAGES KIDS TO BE CREATIVE, BE IMAGINATIVE, AND BE THEMSELVES? 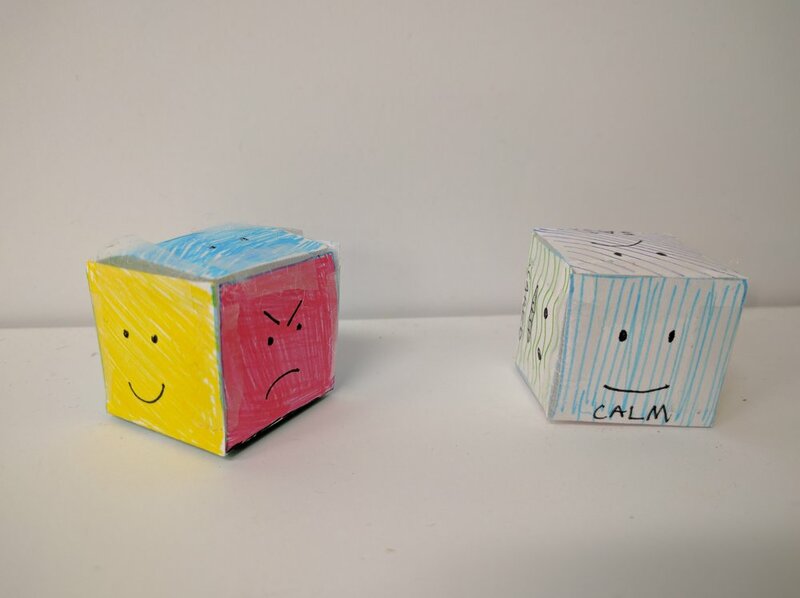 Our first step as a team was to ideate around things that kids like to do by making rough prototypes based on random combinations of over thirty unique actions. 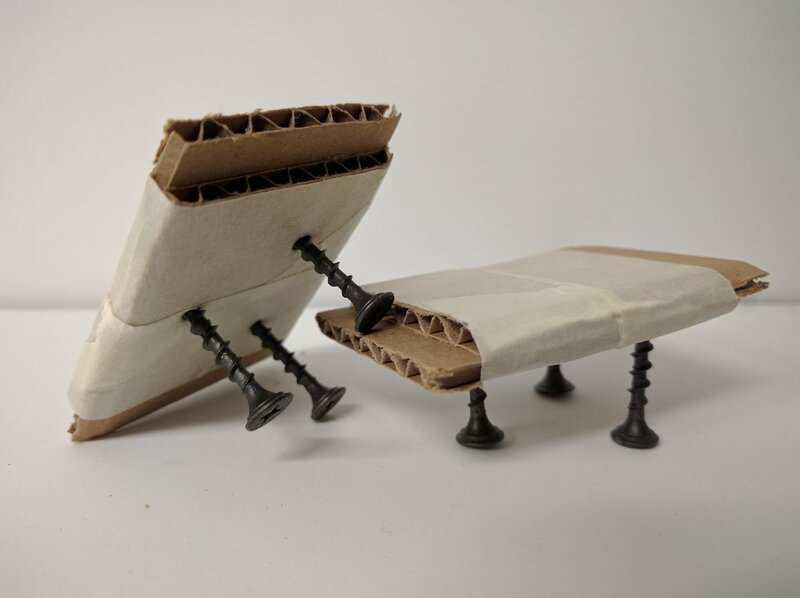 After some research into existing children's furniture, we decided to focus specifically on furniture for the classroom in order to make the project more universal. After working on our concepts and bringing them in for feedback both with the Engineering department at Brown University and a class of Pre-K students at the Jewish Community Day School of Rhode Island (JCDSRI), we learned a lot about what was and was not insightful about our designs. The team really pushed to keep the children's actual habits and rituals at the forefront of our design and made good use of their class as a resource for multiple feedback/idea sessions as we approached our final design. Most of the feedback we got from the Pre-K class was that the kids could really use some more storage and play space. 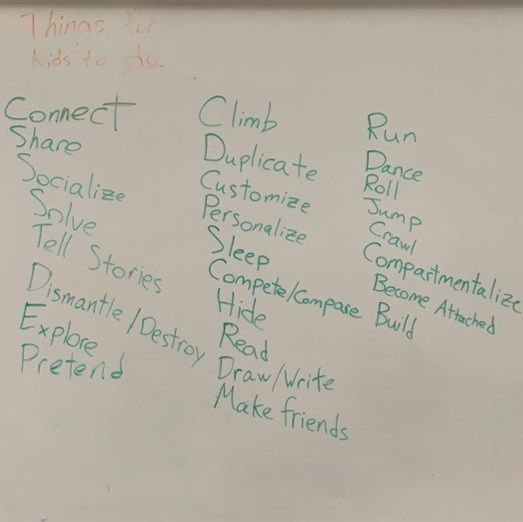 Our team found the children's definitions of storage to include words like hide, put away, display, and keep, which drove us to delineate space in a way that accommodated these concepts. 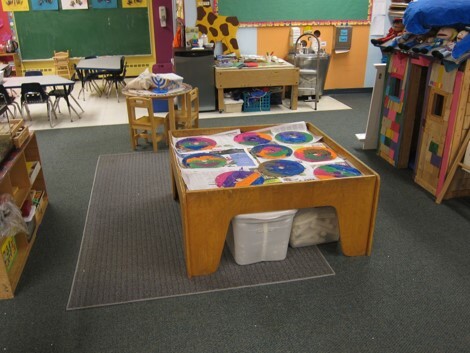 Additionally, we observed that kids tend to play right where their preferred toys/tools are stored, regardless if that's on a table, on top of a shelf, or on the floor; this really pushed us to focus on centralizing the place where all the kids play while maintaining the convenience of their established behaviors. 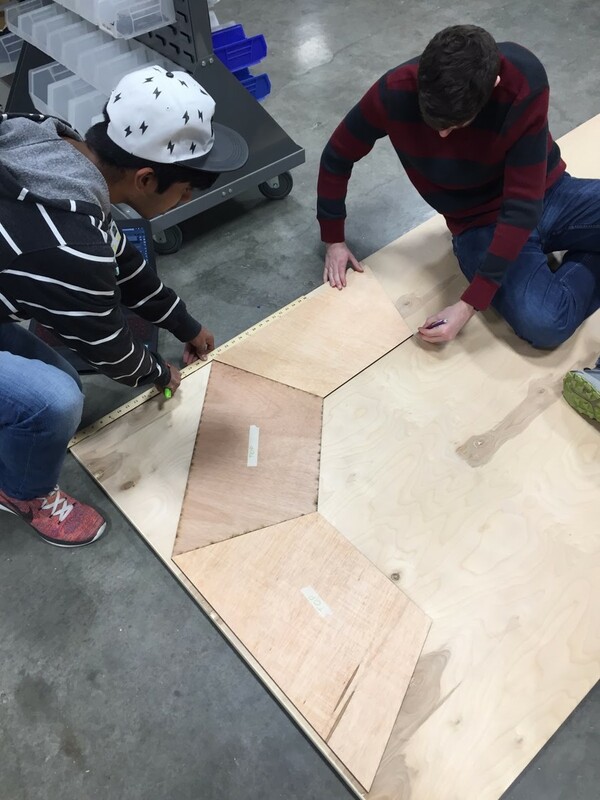 We worked with a shape that could include storage and maximize horizontal play surfaces while also taking up a large portion of the classroom, a design specification from the teachers. Interestingly, the teachers preferred large pieces of furniture to block off paths and discourage kids from running around inside. This led us to introduce a more modular design and a larger total volume. Before the final build, 3D CAD models were created for dimensioning, particularly for the different types of joinery (dado, slot, miter). 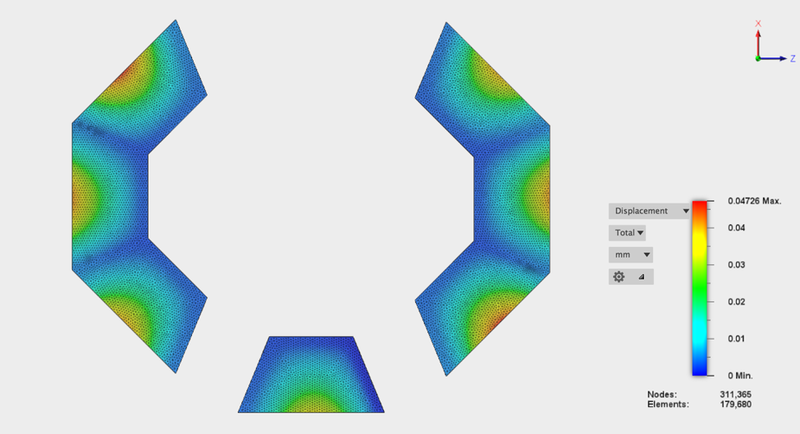 Additionally, some FEA was performed on the model to ensure the final piece would meet child safety ratings. 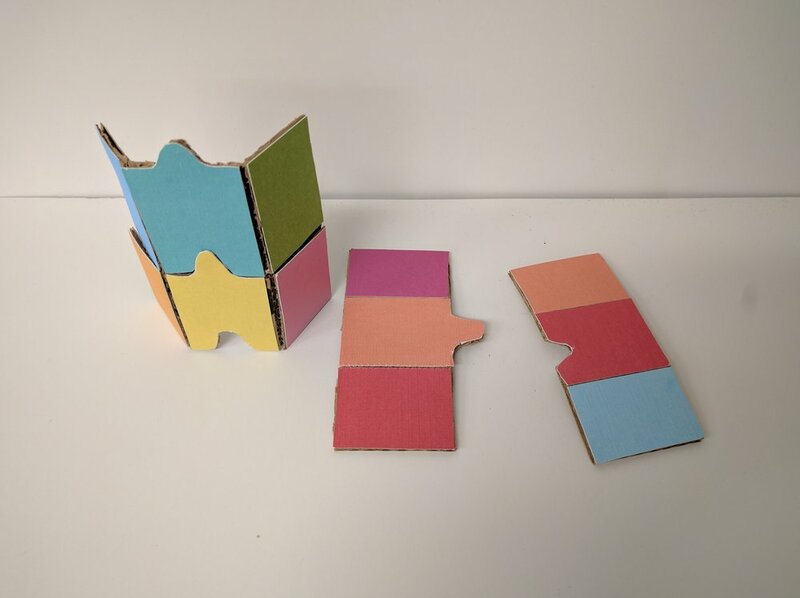 The entire assembly was made from 3/4" birch plywood without any fasteners, intentionally designed not to have any screws, brackets, or sharp edges that could snag on kids' fingers/clothing. 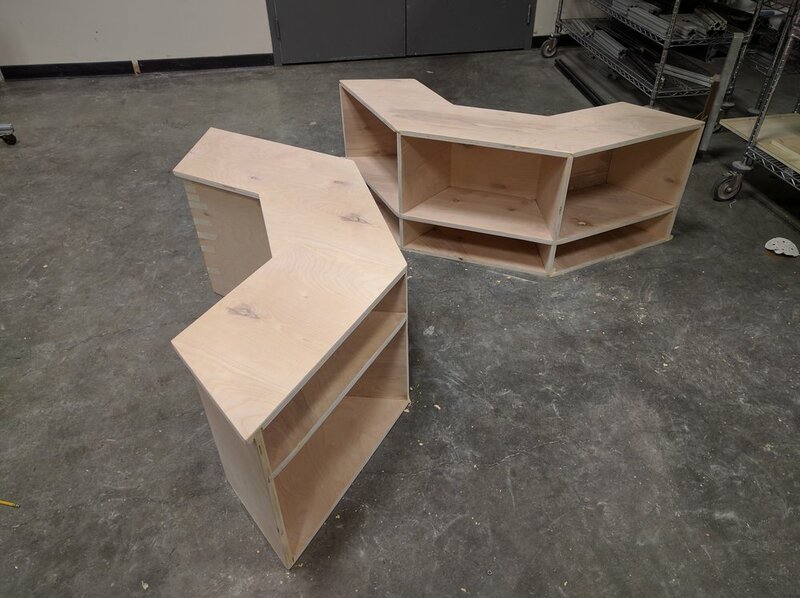 Pieces were cut on a tablesaw before CNC and hand routing. All joinery was formed with wood glue where appropriate. Laid and adhered atop it is an 1/8" sheet of polyurethane, suitable for dry-erase markers. After building, the team painted the piece using a color scheme inspired by earlier suggestions from the Pre-K class. Finally, once assembled and tested in the workshop, PlayHub reached its final destination: Ms. Laurie's Pre-K classroom. It would replace a much older table that had been falling apart and causing concerns of safety. The above photos were taken about one month after it had been installed, and we hope to be able to visit again once the piece is fully broken-in by the children. The storage units have yet to be fully utilized, but the kids have reportedly been drawing on the dry-erase surface nonstop. Ultimately, our more specific goal for PlayHub was to provide children with the opportunity to enhance the way they play without directing it to–provide affordances for imagination and creativity without taking any away. 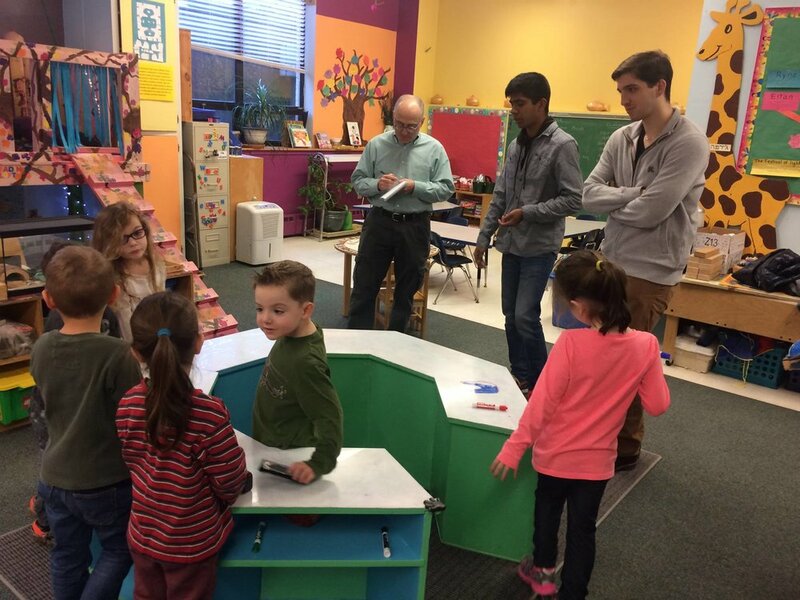 PlayHub brings together kids who enjoy drawing, playing with toys, and playing pretend in a centralized location and allows JCDSRI's entire class to fit around one space, meeting the goals that we the team along with Ms. Laurie had set. Playhub was a collaboration between the team of Jeremy Joachim, Robert Petteruti, Ethan Mok, Stefan Whittaker-Lee, and Matthew Conway and JCDSRI. 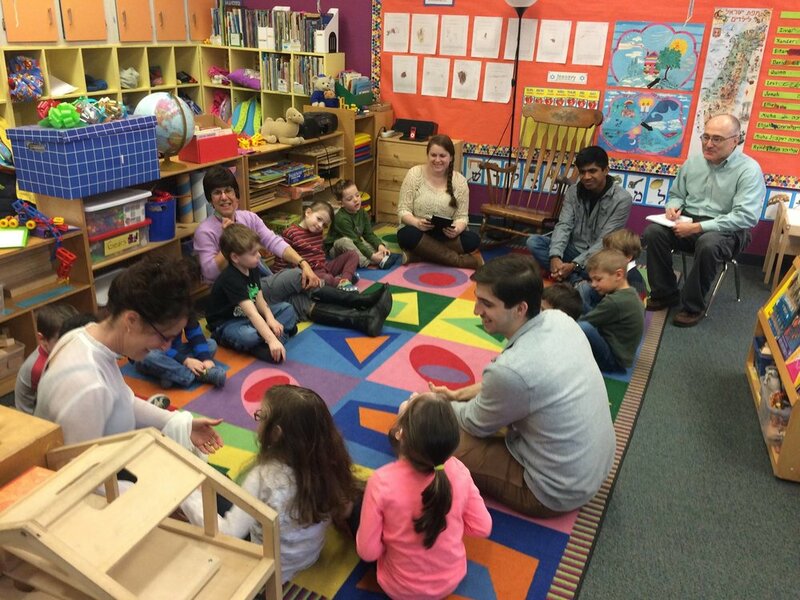 Very special thanks to Ms. Laurie Noorparvar, Hillary Schulman, their Pre-K class, Andrea Katzman, and Adam Tilove.